1. 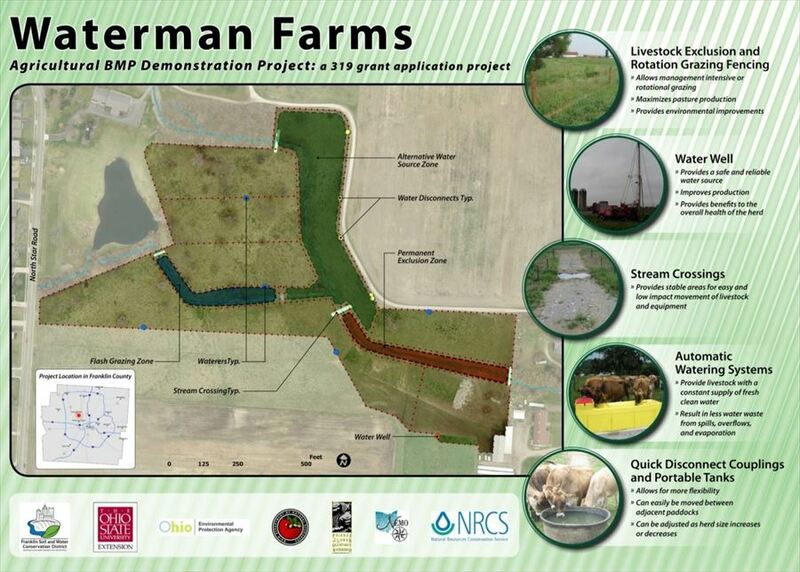 Installation of agriculture BMPs that include livestock exclusion fencing, a rotational grazing system, stream restoration using two-stage and forming channel design principles, and the establishment of cover crops. 3. Development of a complete conservation and nutrient management plan that outlines resource concerns and identifies practices to improve water quality and farm production.